Sri. B.N. Subramanya, is a chartered accountant having more than 30 years of professional experience. He is the founder of B.N.Subramanya & Co., Chartered Accountant firm specialised in management consultancy, audits and tax advisory services. He has experience in collaborating with foreign entities and multinational organisations with business interests in education, health care, engineering and information technology. 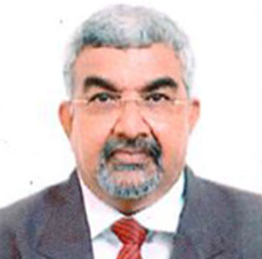 He is on the Board of Management of M.S.Ramaiah University of Applied Sciences. He is also associated with Gokula Education Foundation as an Advisor for over three decades. CEO of ERA Foundation, Muralidhar Ponnaluri ( Murali) is responsible for leading change, driving growth and ensuring sustainability. Murali is a Mechanical Engineer and holds a master’s degree in Business Administration from Xavier Institute of Management, Bhubaneshwar. 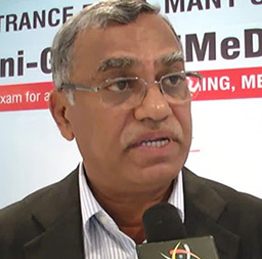 Dr. S Kumar specialized in Pathology after his MBBS.He has over 34 years of experience in Medical Education.He was formerly the Principal & Dean of MS Ramaiah Medical College and President ,Medical Education at Gokula Education Foundation.He is also a former member of National Board of Exams ,Medical Council of India and Planning Board of Rajiv Gandhi University of Health Sciences. 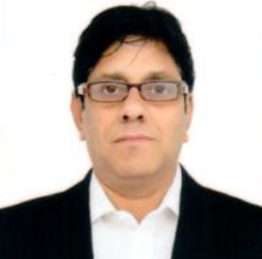 He has over 3 years of Research experience with Indian Council of Medical Research and has coordinated more than 20 field trials for WHO,UNIDO and WASTE ,Netherlands in the rural health sector.He was also a Core Group Member of National Disaster Management Authority ,Government of India from 2006 to 2010. He is currently the Executive and Test Director of COMED K and also sits on the Board of SDUU &R, Kolar.He is a trustee of ‘SPANDANA’ , a resource centre for differently –abled children in rural areas.